The story begins in 1953 when a man named Stuart Roosa, a native of Oklahoma, took a job as a US Forest Service smokejumper, a firefighter who would parachute into the wilderness to fight forest fires. Roosa came to love the forests of Oregon, a love that he would have the rest of his life. Later, Stuart Roosa became an Air Force test pilot and eventually returned to Oregon in the 1960s to train in the moon-scape like craters of Central Oregon. He was destined to became an astronaut and was scheduled to fly on Apollo 14. In those days every Apollo astronaut was permitted to take a few small personal things into space with them. What they chose varied greatly. Alan Shepard chose golf balls, John Young on Gemini 3, took a corned beef sandwich. Stuart Roosa took tree seeds. This wasn’t just a publicity stunt; it was a science project too. Scientists wanted to know what would happen to the seeds if they went to the Moon. Would they sprout when they came back? So when Apollo 14 launched in 1971, nearly 500 tree seeds of various species were tucked away in astronaut Roosa’s personal property kit. Roosa didn’t walk on the moon since he commanded the orbiting space module, but the tree seeds did orbit the moon 34 times. Upon their return to earth, many seeds were propagated and the seedlings planted in celebration of America’s bicentennial. 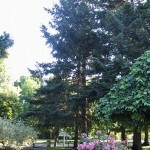 A Loblolly Pine was planted at the White House, and trees were planted in Brazil, Switzerland, and presented to the Emperor of Japan, among others. 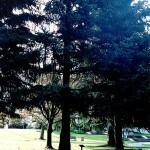 Unfortunately, adequate records were not maintained at the time, so we don’t know where all the moon trees were planted. 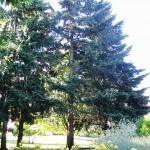 Only about 50 of them are presently accounted for, including six planted in Oregon. 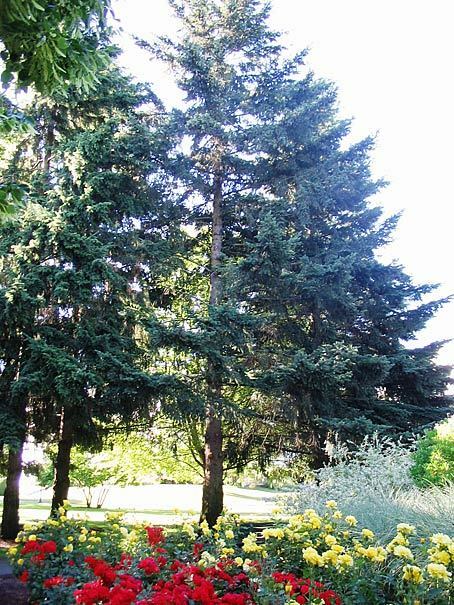 Roosa chose his adopted hometown of Coos Bay as the site of his homecoming parade, and it was a school class that nominated one of Roosa’s trees as a state Heritage Tree. 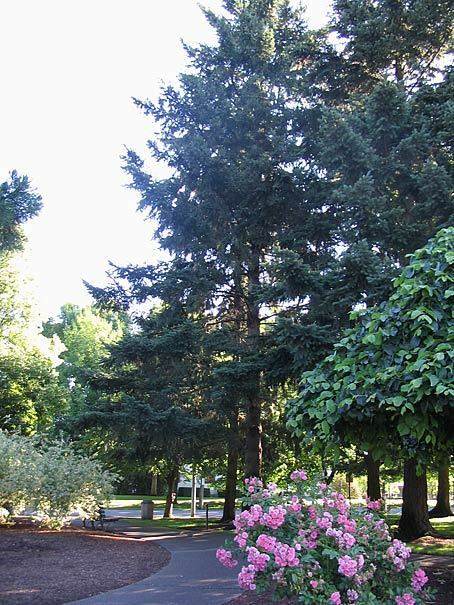 Governor Bob Straub planted one of Roosa’s seeds as the Moon Tree at the State Capitol on Arbor Day, April 30, 1976, and it was named a state Heritage Tree in 2003. Stuart Roosa has past away, but his legacy lives on. 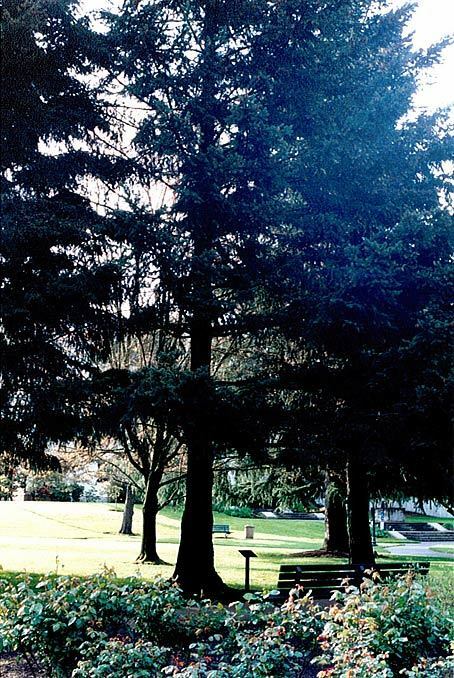 The Moon Tree is located in Salem, near Court Street, in Willson Park to the West of the Capitol building.